It’s been a busy summer, and September and October kicked off with a full schedule of events. We all suffered the air quality impacts of choking-smoke from catastrophic wildfires this summer. We need better forest management in Oregon’s forests. This is why I joined the Fire Caucus in the House and Senate and am working with several Legislators, county commissioners and Congressman Walden in demanding a change in the way our forests are managed. 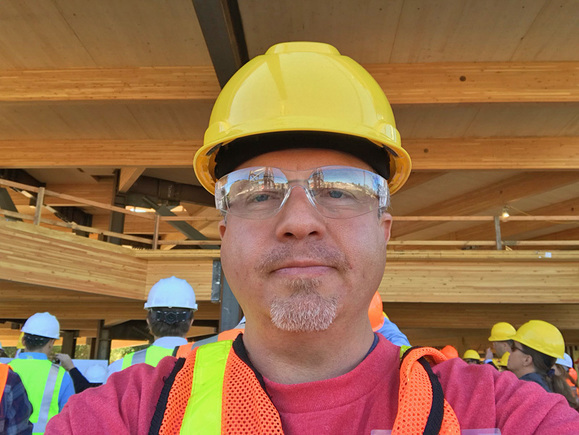 Recently, I took a tour with several legislators of all-timber buildings in the Portland area. Oregon is on the verge of a timber renaissance. Mass Timber is the new wave of building products and projects that not only make wise use of Oregon’s natural resources, but look incredibly beautiful. These new all-wood buildings are fire resistant, strong and environmentally friendly (carbon sequestration). 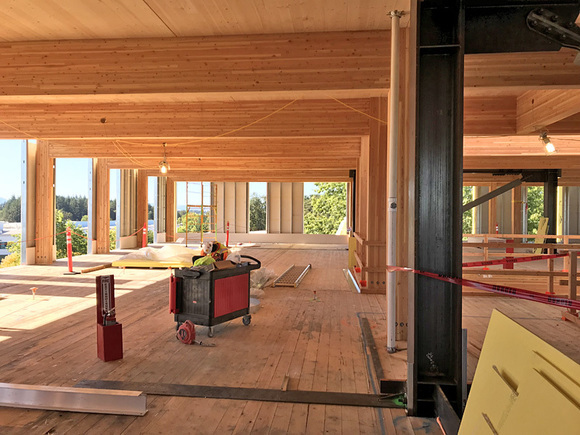 With the advent of cross-laminated timber (CLT) coupled with high-tech architecture, each column, beam and floor is built and cut to specification at the factory (mill). The job site becomes the “building assembly line”, much like many of us did as kids with legos and lincoln logs (but on an industrial level). The challenges this new industry faces is two-fold: First, a well educated labor force. The lumber mill has now become a sophisticated and customized manufacturing plant. It is increasingly evident Oregon needs to update and enhance its K-12 eduction system to meet the demands of this 21st century job market. Second, timber supply. We need a healthy forest policy, not one that sees our forests go up in smoke year after year, that ensures we have have the timber supply necessary to meet these new demands. Largest all-timber office building in Oregon. My first-hand tour of First Tech Credit Unions new headquarters. In September the Klamath Water Users held their 10th Annual Fall Tour. 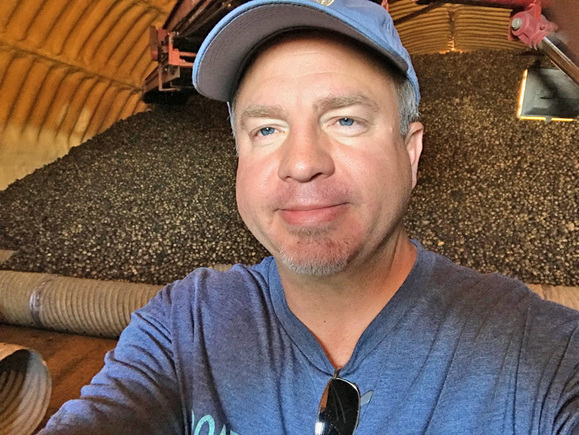 We visited several agricultural businesses in the Klamath Basin: a dairy, potato farm, potato processing and storage plant and the lease lands in California. What becomes immediately evident is how much each of these farmers care for the land and are careful to use water in the most efficient way. These are wonderful, rural careers we need to ensure for generations to come. They teach and build upon the values of hard work, self-sufficiency, good stewardship and community. 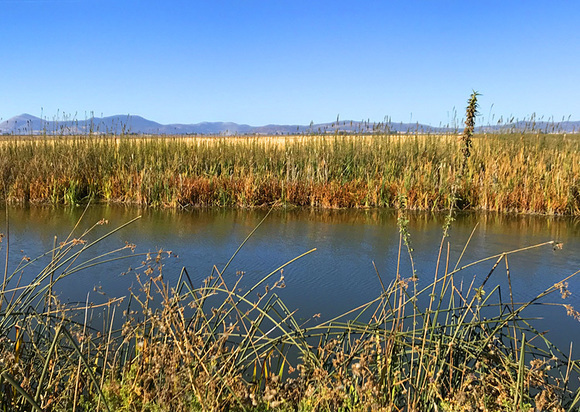 Beautiful view of irrigation canal in Klamath County water district. Harvest at Gold Dust Potato Processors during the KWUA tour. Several years ago, a labor dispute halted the shipping container business at the Port of Portland’s Terminal 6. 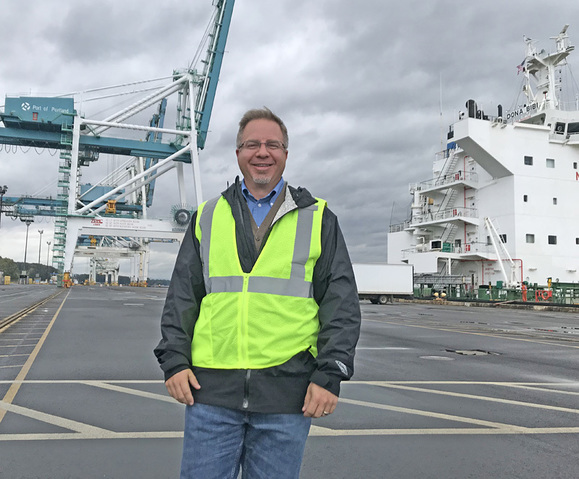 The repercussions of this terminal closure damaged Oregon’s economy in creating additional shipping costs and longer ship times for Oregon business that use containers to import or export. The Port of Portland is working to solve this problem by seeing how they can reopen Terminal 6 with a mission looking forward and not back to the past. The shipping container industry continues to evolve and it is important for Terminal 6’s success that the re-opening embrace these changes. In November a preliminary study will be concluded recommending the best path forward for Terminal 6 and container shipping in our state. Reviewing next steps for Portland’s Terminal 6 container shipment center. I joined Congressman Greg Walden and State Representative Sal Esquivel to learn what our southern Oregon community is doing for Veterans. 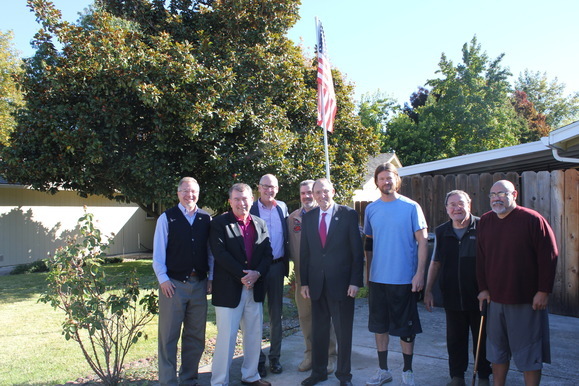 We visited a group home for Veterans that gives these men a safe place to get back on their feet. I also participated in a round-table discussion with Congressman Dr. Roe, who is Chair of the Veterans Affairs committee in Washington D.C. to discuss the continuing challenge of helping our Veterans transition to civilian life. Touring a Veterans residential home with Congressman Walden and Congressman Roe in Medford. What I expected and what I saw were two completely different things! I went to Ponderosa Middle School to watch eye screening of 7th graders by the local Lion’s Club. 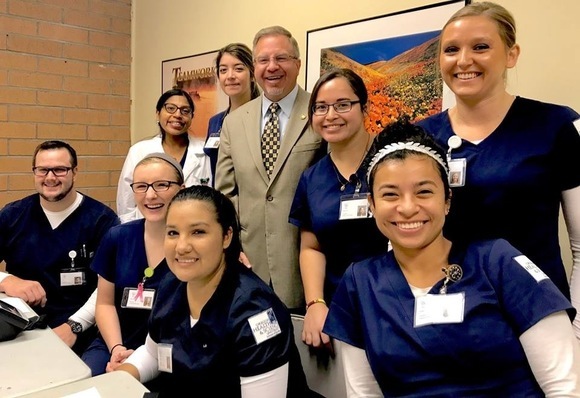 What I found was a collaborative effort between Oregon Tech first year student nurses, the local school and technology. What took a day now takes an hour with far more accuracy. Rather than having students read a traditional eye-chart, the nurses-in-training used a high-tech camera to take a picture of the student's eyes. The camera can immediately diagnose whether the student needs a follow-up appointment with a local eye doctor. Incredible and efficient technology. Lion's club eye screening with Oregon Tech nursing students. I continue to work diligently for southern Klamath and Lake counties. These meetings help me prioritize community needs and I look forward to taking these conversations back to Salem. My guide is the Founders principles to ensure our inalienable rights of life, liberty and the pursuit of happiness—not to be usurped by bigger State government. Thank you for supporting me in these efforts. Together and united we are strong.